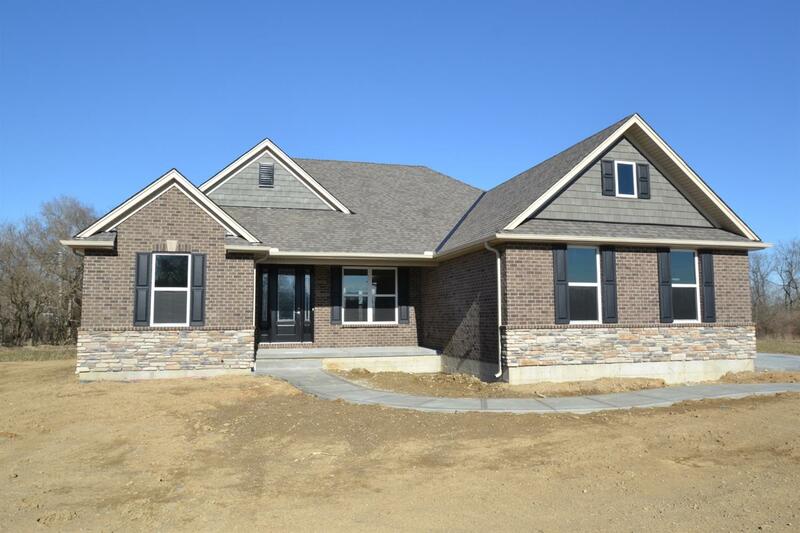 Custom Built Brick/Stone Ranch by Schmidt Builders located in Venice Crossing LOT VC 30. 2,157 sq ft, 3 bedrooms, 2 full baths, 1 half bath. Open Floor Plan. Dining Room. First Floor Laundry. Luxury Owners Suite with double vanity and walk in closet. Walkout Great Room to Rear Covered Patio. Ross Township was named the ‘new frontier’ of Butler County by the Journal News, citing the spurt of residential growth in the once rural area. Ross was first called “Venice” when the area was for platted by Dr. Benjamin Franklin Clark in 1817. Founded in 1803, Ross Township sits in south central Butler County and includes the villages of Ross and Millville. 6,400 residents are spread throughout the area with more arriving each year. Rural farms are disappearing and are being developed as city residents flee to a more relaxed country lifestyle. The area is rich in Native American archeological settings with several mound sites located on private property. Homes range from old-style residences to newly built homes on acreage or in subdivisions. Homes are available in all price ranges. U.S. Rt. 27 is the primary access route through the township that leads to either south to Cincinnati or north to Oxford. State Routes 126 and 748 bisect the area. Butler County has three regional airports, including Butler County Regional in Hamilton, Hook Field in Middletown, and Miami University Field in Oxford. Cincinnati West Airport is less than 10 minutes away in Harrison; it’s a short 19-minute drive to the Greater Cincinnati Northern Kentucky International Airport. Ross Urgent Care (affiliated with McCullough-Hyde Memorial Hospital – TriHealth) is located on Ross-Millville Road. The Ross Fire Department provides fire and EMS services to the area. Mercy Health - Fairfield Hospital is located just east of Morgan Township in Fairfield, and The Fort Hamilton Hospital is located to the northeast. McCullough-Hyde Memorial Hospital - TriHealth is located in Oxford. Cincinnati Children’s Fairfield is located on Mack Road. Both Ross and Millville meet the daily needs of nearby residents with groceries and gas, but most residents head to Harrison or Fairfield for more expansive shopping. Northgate Mall is about a 10-minute drive. Fairfield offers Bridgewater Falls on Princeton Road.